An entire city and surrounding areas in British Columbia were forced to evacuate as raging wildfires intensified by strong winds spread across the region. An evacuation alert was issued for Williams Lake and surrounding areas in Cariboo Regional District on Saturday. “All individuals in the City [Williams Lake] and the above areas must evacuate immediately,” the order stated. Around 12,000 people live in the city, and the same number of people in the surrounding areas were also ordered to evacuate, CBC Canada reported. A nearby fire disrupted Highway 97, north of the city, Mayor Walt Cobb said. Local residents were asked to evacuate to the city of Kamloops, 200km from Williams Lake. 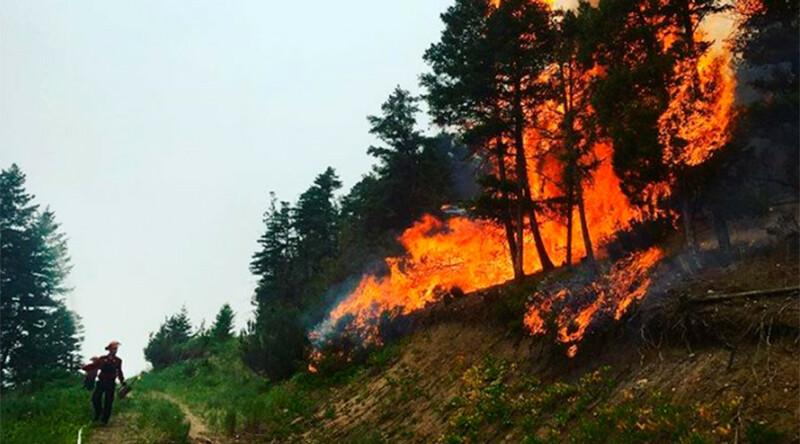 The authorities created a Facebook page connecting evacuees with Kamloops locals willing to assist. Wildfires have been spreading across swathes of British Columbia since the start of July. Around 40,000 people have been evacuated as 167 active wildfires rage in the province as of Saturday, according to reports in local media.